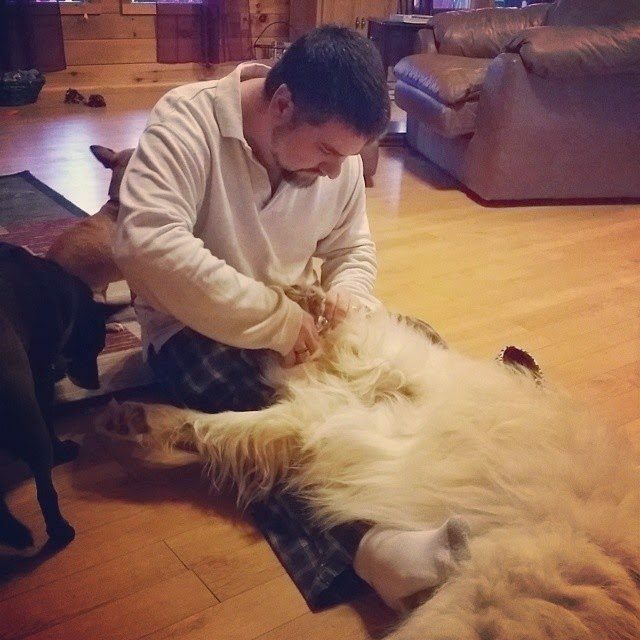 This is what it looks like to give Giant Dawg a pedicure. Jason on the floor with Buddy practically in his lap, on his back and content as a little lark. Meanwhile, Lois Lane waits for the nail clippings to drop, snatching them up and devouring them as quickly as possible. L.B. just sits and watches in confusion wondering why everyone is on the floor.